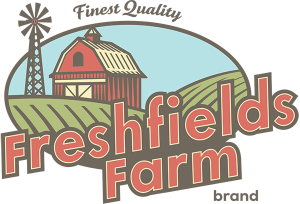 Freshfields Farm opened last month on University Boulevard in Jacksonville, Florida, on property that was previously occupied by Liberty Furniture. The front of the door has a bog-barn look while the inside has an entirely different outlook. The store has almost completely fresh meat and produce. Additionally, its temperature is approximately 63 degrees. The marketing director, Derek Wegner said that very little produce would be available in prepackaged form. The store has plans of getting its produce directly from growers to promote the degree of freshness. Grounding of meat is to be carried out daily while any meat produce that remains at the end of the day would be preserved in the form of frozen patties. Wagner further added that the store has a single freezer, while other products are preserved in large coolers. In terms of size, the store is approximately seven thousand feet squared. On average, a Publix or Winn-Dixie is 46,000. It is also important to note that the store houses eight registers, which are expected to be fully occupied during the weekends. The grocery industry is extremely competitive. Wagner said that competition is everywhere. He however, acknowledged that Freshfields Farm has a business model that is unique. There will be no paper towels, canned goods, soda, beer or wine. This is mainly because the store is grounded on freshness. Everything will need to be turned all the time. The store’s location is University Boulevard just off interstate 95. With the high rates of recalls attributed to contamination, maintaining freshness is fundamental. It is essential to make sure that perishables such as vegetables, fruits, fresh meat and produce are kept fresh. They should be frozen to increase their shelf life.